Data science is becoming increasingly important in academia and industry. University departments from engineering to economics are turning to data science more and more, and worldwide businesses that face big-data problems are working in partnership with the academic institutions that are equipped to solve them. According to Linked in learning research, Analytical reasoning is amongst the best skills companies required in 2019. According to the world economic forum, Data Analytics is No.1 emerging job role that is predicted to be the highest in demand in the future. There is a huge talent gap in Pakistan in the field of data science, with the industry facing challenges in recruiting data scientists that have the skills to address their needs. 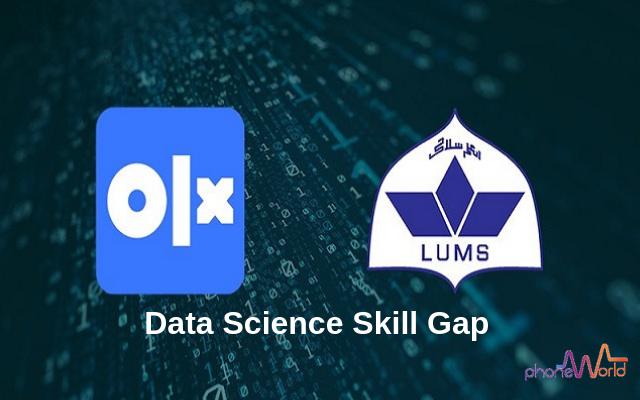 OLX, Pakistan’s number one marketplace faced the same challenges and to fill this big gap OLX is collaborating with Pakistan’s best academic institution – LUMS to help the brightest students in Data Analytics to transition from academia to Industry. “Our collaboration with OLX has been exciting, dynamic and fast-paced. The learning opportunities, training, and mentorship for our students have been exceptional as they have worked with some of the best leaders in the industry. We feel OLX is a long term strategic partner in our pursuit of high-quality teaching and research”. “Being one of the pioneer tech companies of Pakistan, OLX felt the need of connecting Industry with academia to solve the data problems we faced and in return give the students a chance to solve real market problems and gain valuable insights. LUMS has been a great partner and we look forward to keeping on (continue) working with them on more interesting projects”.